Damavand Info is the official website of the Mount Damavand Guides Iran. We are a team of experienced Iranian mountain climbers who are mainly focused on Damawand Iran and specialists in VIP guided tours and ascends to this giant volcano. 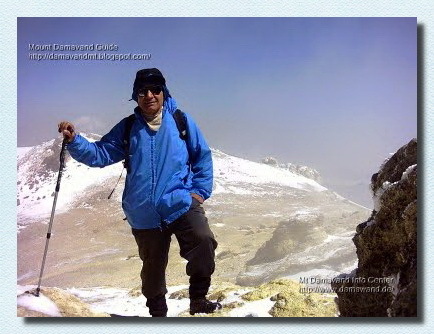 We have been mountaineering for over 30 years and guiding for about 20 years in Iran. Our mountain guides are the guarantee of safety and quality days on mountain. They are senior and the most experienced guides in Iran. All of them have climbed Damavand summit more than one hundred times and are the members of 100 Damavand Club. Official website of the Mount Damavand Guides and Azad Mountaineering Group Iran. Best source of information for hiking & trekking and ski touring to Iran Mountains. Ski touring and snowboard tours to Mt Damavand Iran. Travel to Iranian nomads and Persian cultural and historical tour. Ecosystem tours to visit Iran fauna and flora and natural attractions tours. Iran mountain tour organizer to Mt Alamkoh, Mt Sabalan Ardabil and Mt Tochal. Damavand winter guided tour, ski mountaineering and snowboard. Welcome to join us for the best ski and Iran climbing tours. Winter sport adventure vacations. Best ski resorts for your holidays. Hiking trekking outdoor sport for Iran holiday and vacation.